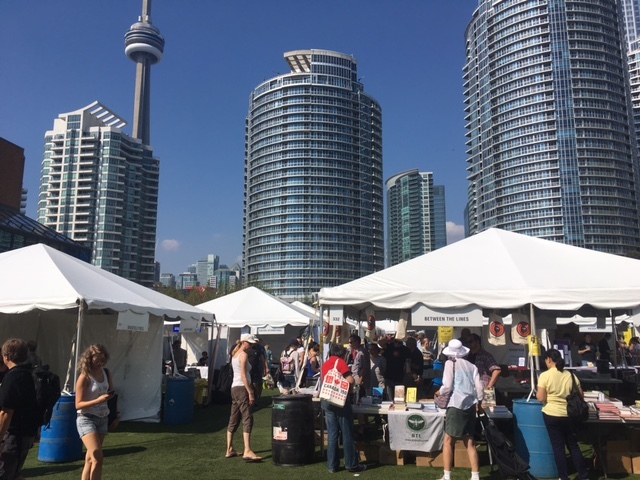 On Sunday I took in the Word on the Street, Toronto’s Annual Book Festival. Hundreds of publishers, booksellers and authors come together. I was looking for works about the Middle Ages, and I found some new and recently published books. Here are four of them. Publisher’s Overview: A 15th-century portrait painter, grieving the sudden death of his lover, takes refuge at the monastery at Mont Saint-Michel, an island off the coast of France. He haunts the halls until a monk assigns him the task of copying a manuscript – though he is illiterate. His work slowly heals him and continues the tradition that had, centuries earlier, grown the monastery’s library into a beautiful city of books, all under the shadow of the invention of the printing press. Excerpt: At certain hours, the abbey is silent and the rooms deserted. Between matins and lauds, a blue light descends, time stops to catch its breath. This hour is not for ordinary mortals, snoring quietly: it belongs to the sick, the insane and the lovers. It is the hour when I would wake up at Anna’s side as she dozed, to listen to her light breath. She would sleep in the most unlikely positions: arms folded, legs crossed, as if sleep were amusing itself by having her pose for me in her dreams. Through the window, I would see the sea-blue sky grow darker again. A few minutes later it would grow brighter and day would begin for everyone, but this moment belonged to me. Publisher’s Overview: At the height of the Middle Ages, a peculiar system of perpetual exile—or abjuration—flourished in western Europe. It was a judicial form of exile, not political or religious, and it was meted out to felons for crimes deserving of severe corporal punishment or death. From England to France explores the lives of these men and women who were condemned to abjure the English realm, and draws on their unique experiences to shed light on a medieval legal tradition until now very poorly understood. William Chester Jordan weaves a breathtaking historical tapestry, examining the judicial and administrative processes that led to the abjuration of more than seventy-five thousand English subjects, and recounting the astonishing journeys of the exiles themselves. Some were innocents caught up in tragic circumstances, but many were hardened criminals. Almost every English exile departed from the port of Dover, many bound for the same French village, a place called Wissant. Jordan vividly describes what happened when the felons got there, and tells the stories of the few who managed to return to England, either illegally or through pardons. Publisher’s Overview: This travel guide and journal will engage everyone withe brief histories, facts and interesting tidbits of information on key historical sites of Tuscany, Italy. Publisher’s Overview: Drawn from this wealth of medieval Arabic writing, Scheherazade’s Feasts presents more than a hundred recipes for the foods and beverages of a sophisticated and cosmopolitan empire. The recipes are translated from medieval sources and adapted for the modern cook, with replacements suggested for rare ingredients such as the first buds of the date tree or the fat rendered from the tail of a sheep. With the guidance of prolific cookbook writer Habeeb Salloum and his daughters, historians Leila and Muna, these recipes are easy to follow and deliciously appealing. The dishes are framed with verse inspired by them, culinary tips, and tales of the caliphs and kings whose courts demanded their royal preparation. To contextualize these selections, a richly researched introduction details the foodscape of the medieval Islamic world.